Keira Knightley and Ruth Negga both wore VALENTINO SPRING 2018 yesterday evening(December 3rd) at the 2017 London Evening Standard Theatre Awards at the Theatre Royal in London. Keira Knightley was my favorite from this event as she stunned in this ruffle, pleated tulle off-the-shoulder gown which featured a contrasting green silk bow tie in the sleeves. Keira's gown was unlined on the runway but the actress lined hers which worked in her favor. Also I love that she chose to wear the neckline off-the-shoulder as it gave the gown a fresh, flirty appeal. The color is not the best but she still looked divine. Ruth Negga wore a red floor length, silk-chiffon embroidered dress which featured sheer sleeves and a contrasting velvet neckline. This piece merges sporty with evening but I would love to see this dress without those sheer sleeves. An EDIE PARKER clutch and a matching red lip finished up her look. 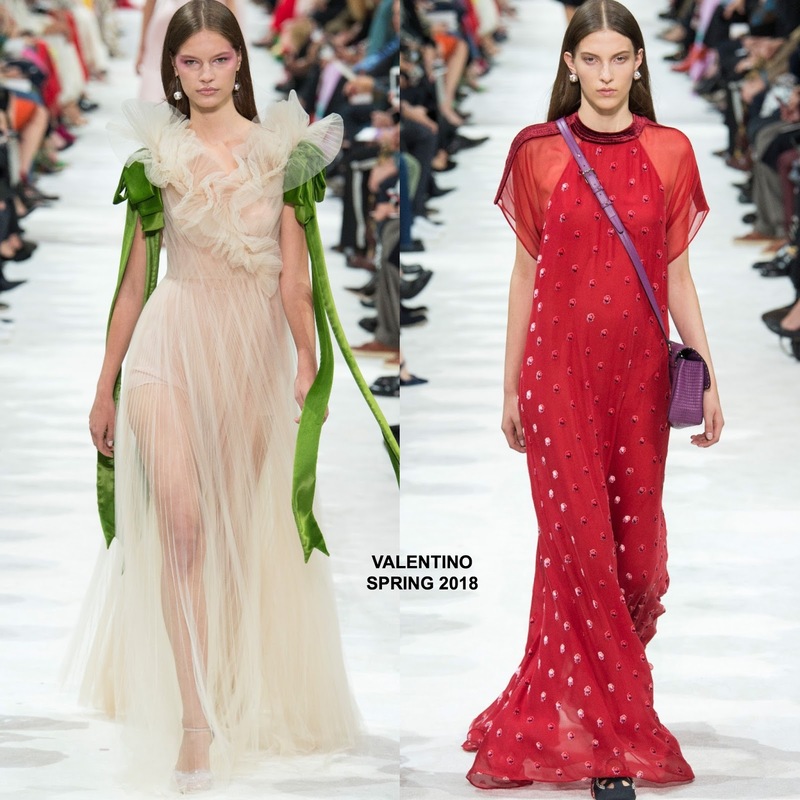 Who's Valentino look do you favor?